Spectacular Etched Black Enamel on Brass Turkish Kettle from India. 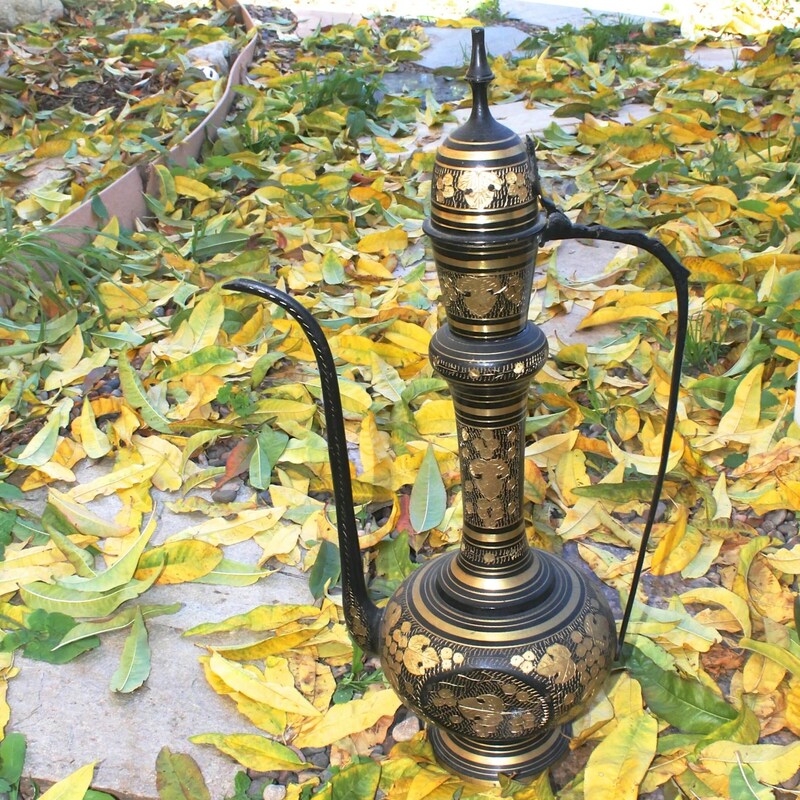 An Aftaba is a vessel for beverage or water, sand casting, black anodized engrave with handle and long spout. An ancient beverage / water vessel with handle and long spout. Persian and Indian origin decorated with enamels and damascening by engraving the articles. A beautiful decoration article. This is a collectors decorative piece. This entry was posted in http://feedproxy.google.com/~r/JujubefunnyFinds/~3/0YjKBMD6mTs/vintage-aftaba-ewer-pitcher-jug-kettle and tagged IFTTT. Bookmark the permalink.